After months of high anticipation, Disney World have finally given us a look at what some of the rides at Toy Story Land will look like. The geniuses behind the creation of the park have concocted everything from a Slinky Dog Dash rollercoaster to Alien Swirling Saucers. 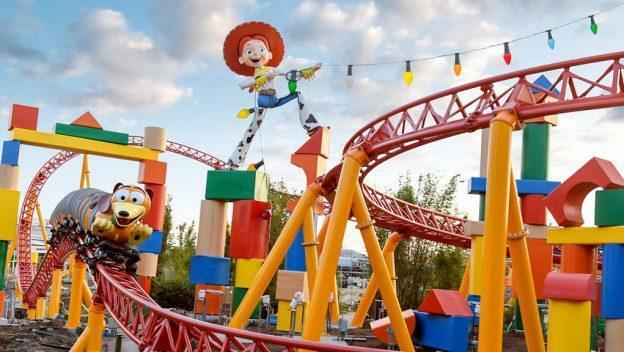 The park, which is set to open on June 30, will make visitors feel like toys in Andy’s back garden themselves, with oversized versions of fan favourite characters like Woody, Jessie, Buzz and Mr Potato Head littered around the park. 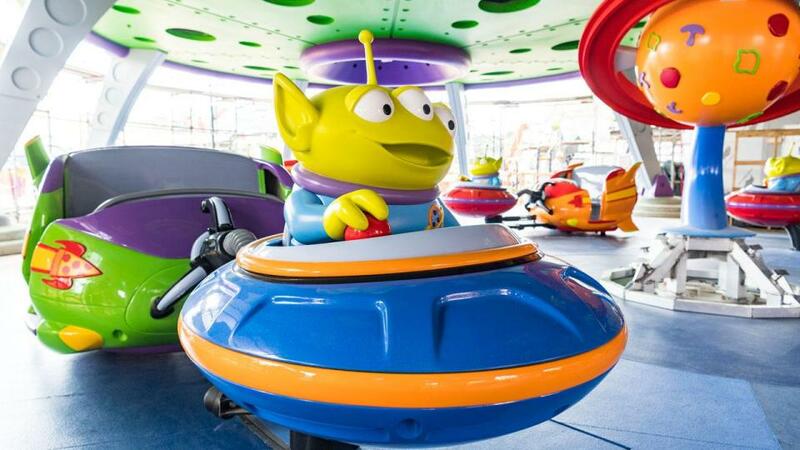 The Alien Swirling Saucers allow guests to spin around with the aliens in their toy flying saucers while the infamous Pizza Palace ‘Claw’ appears overhead, reports The Sun. The other big ride, the Slinky Dog Dash rollercoaster, is a coaster for all the family to enjoy, which is brilliantly designed to look as though Andy has built it in his garden using his Mega Coaster Play Kit with toys like Rex and Jessie dotted around alongside the coaster itself. The carriages on the coaster, inspired by Slinky, fly over bumps and go past corners at speed. But it doesn’t stop there – oh no. 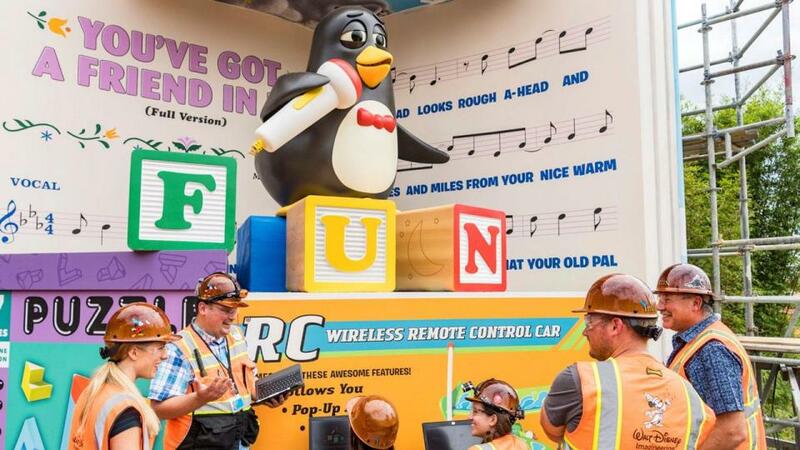 The ride officially comes to an end with Wheezy standing in front of those on the coaster where they are given a top notch performance of You’ve Got A Friend In Me from the breathless but loveable penguin. As if it couldn’t get any better, Sage and the Green Army Man Drum Corps, will apparently march around the park numerous times a day where they will play games with park visitors. One of the games will allow visitors to see if they’ve got what it takes to become an official recruit. But what about when you start to get a little hungry? Well head straight over to Woody’s Lunch Box where you can pick up a classic American lunch and wash it down with a soda float. 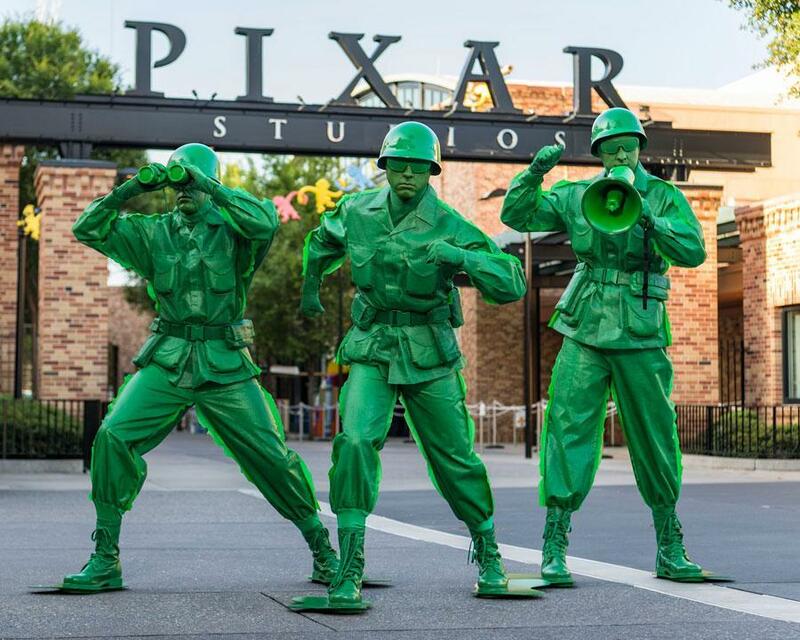 This isn’t the only film-inspired park opening up soon. According to reports, Universal Orlando is set to unveil some super big plans – including a Lord Of The Rings theme park in the near future too. According to reports, Universal are set to open a fourth park – sparking rumours of a Harry Potter Ministry of Magic park, a Nintendo World, a Jurassic World and a Lord of the Rings park. The suggestions have been posted on the blog Disney and More, a site which has published theme park scoops in the past. The blog reports the ‘new Florida park’ has a codename – Project 314 – and says it could be finished as soon as 2023 or 2024. If this fourth park does happen, it’ll join Universal Studios Florida, Islands of Adventure, and Volcano Bay, along with their many hotels and restaurants. Disney and More reports Project 314 could become Super Nintendo World, themed around Mario, Zelda, and other members of the video game family. 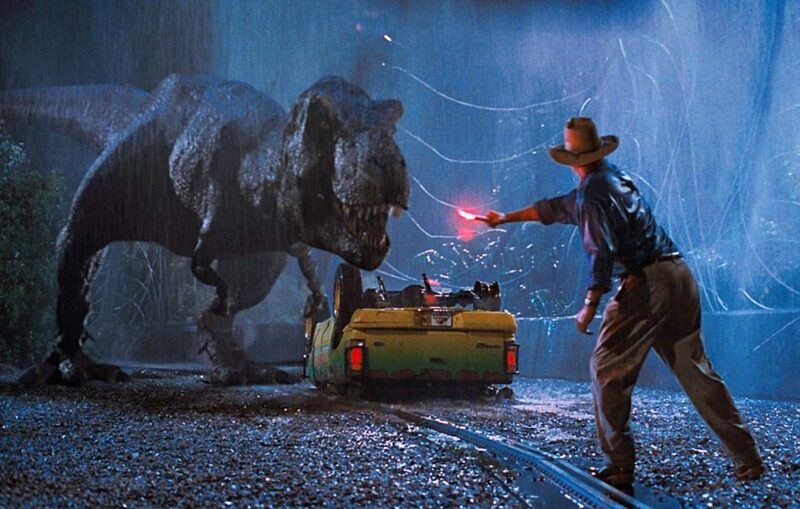 It’s also been reported Universal are set to open up a Jurassic Park theme park too. I agree that it wouldn’t make sense to have two lands with the same intellectual property but I know the current ride will be getting upgrades at Islands of Adventure. Super Nintendo World is set to feature ‘a Zelda ride, a Mario Kart ride, a Donkey Kong rollercoaster, and play area’.